Ideum is currently designing and developing an interactive for the new Albuquerque BioPark Botanic Garden's BUGarium that will allow visitors to "Be the Bug." 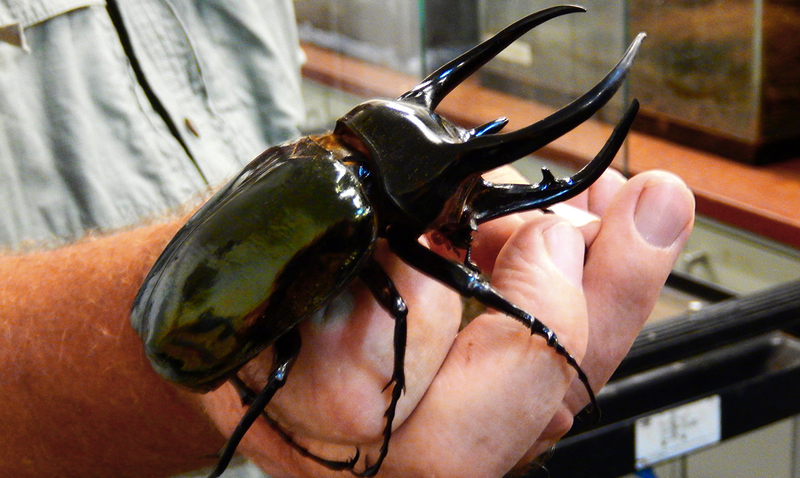 In October of this year, the Botanic Garden at the Albuquerque BioPark will be opening a new BUGarium – a building with a series of exhibits devoted exclusively to insects and other bugs. A few of us at Ideum recently got a peek behind the scenes. 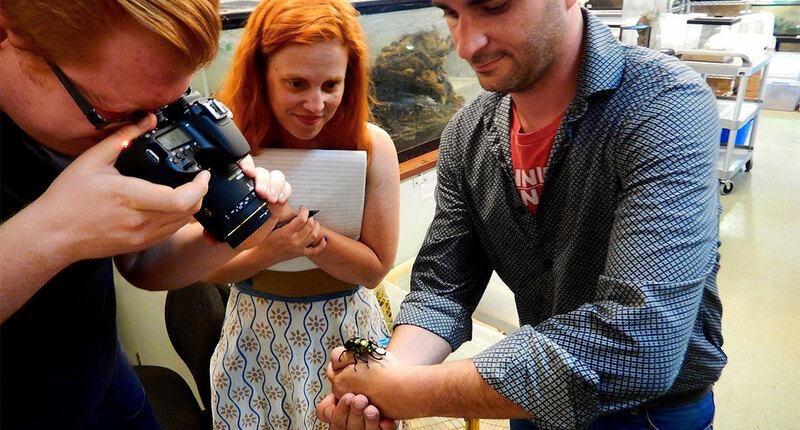 On our field trip, we got to know a few of the critters on which the interactive bugs will be modeled, as well as a few other future BUGarium inhabitants. 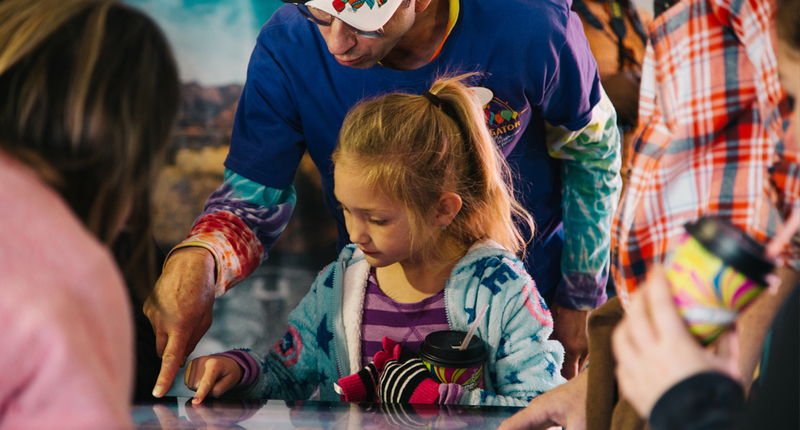 The “Be a Bug” interactive will debut in October 2015 when the new BUGarium opens. We are very excited to be working with this great local institution as they expand their educational offerings and facilities. To learn more about interactives Ideum has designed and developed, visit our Creative Services page. 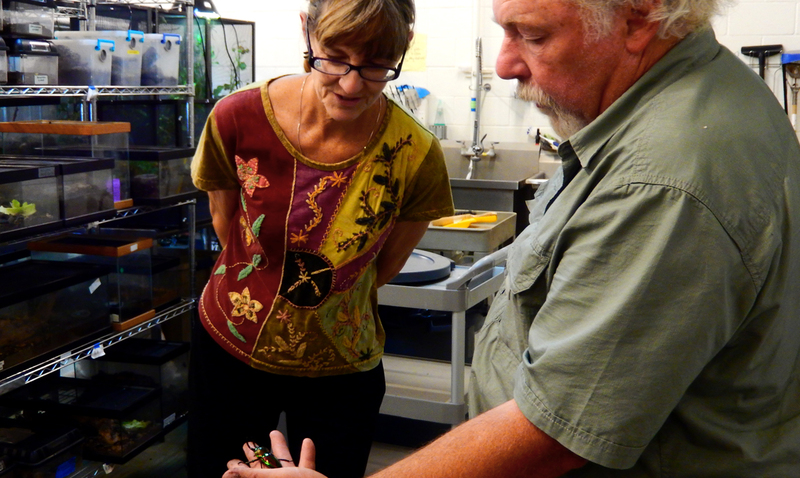 Ralph and Catherine, BioPark experts, admire a rainbow stag beetle in the BUGarium’s behind-the-scenes lab. 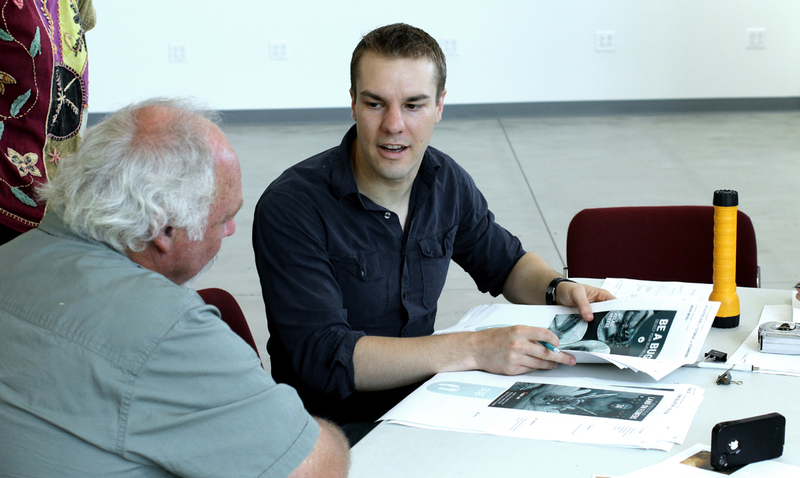 Interactive Designer, Rafael, discusses the flow of the activity with BUGarium expert Ralph. 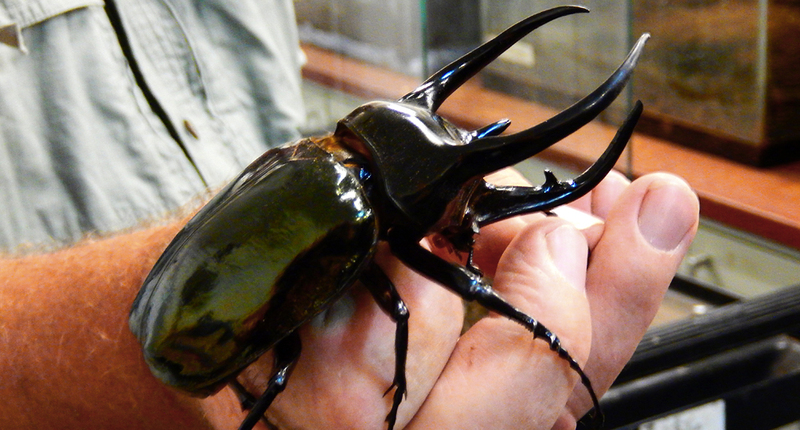 BUGarium expert Ralph holds one of our “Be the Bug” models, an Atlas beetle. 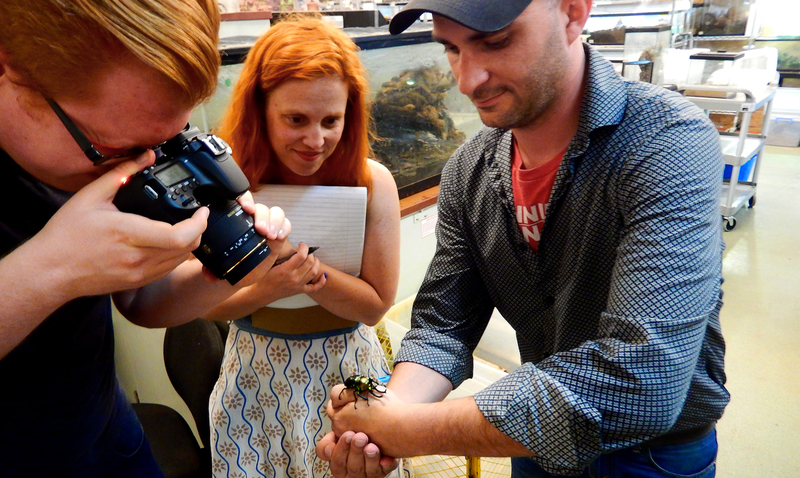 Ideum staff get up close and personal with a rainbow stag beetle.